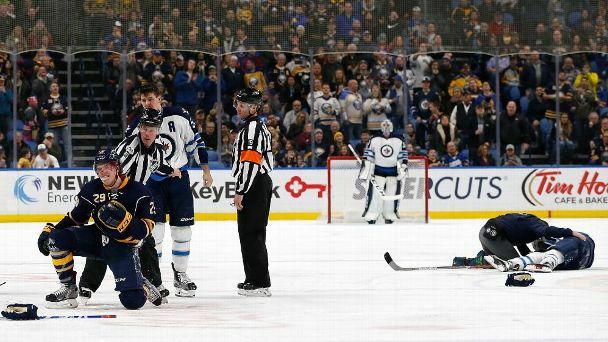 Buffalo Sabres defenseman Jake McCabe is expected to miss the remainder of the season with what the team calls an upper-body injury. 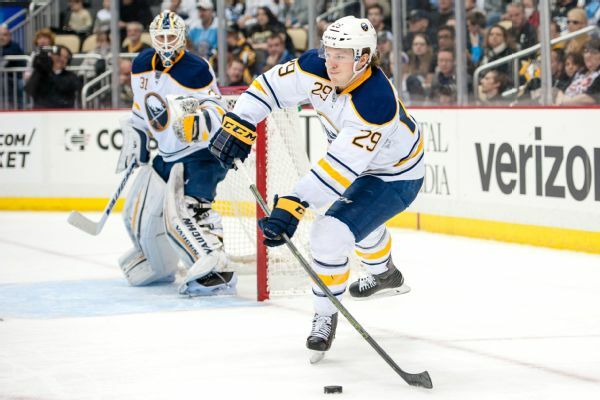 Buffalo Sabres defenseman Jake McCabe will miss the remainder of the season to have surgery to repair a shoulder injury that has nagged him for much of the year. 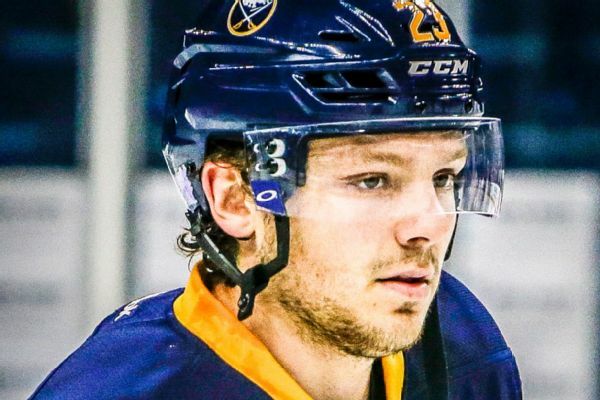 Sabres center Sam Reinhart didn't appreciate spending Buffalo's last game glued to the bench. Patrik Laine was laid out big time by Jake McCabe by a big and clean hit over the weekend. Why should he have to fight afterward? Our experts weigh in with their opinions. 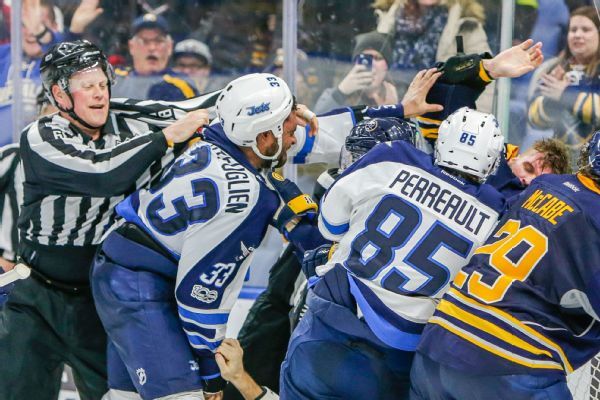 The players on the ice for both the Jets and Sabres started to brawl immediately after a brutal open-ice hit from Buffalo defender Jake McCabe on Jets rookie Patrik Laine. The Buffalo Sabres have re-signed defenseman Jake McCabe to a three-year, $4.8 million contract extension. 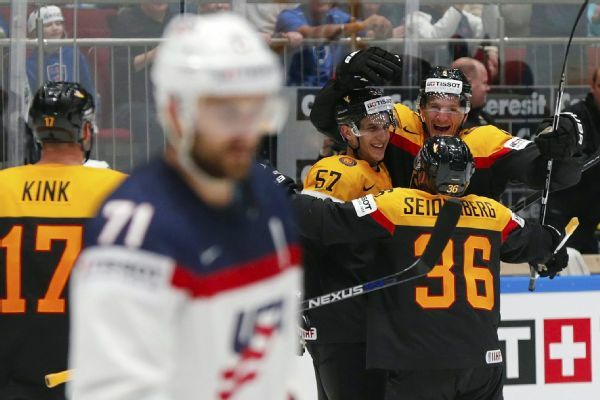 Germany beat the United States 3-2 on a last-minute goal by Korbinian Holzer at the world ice hockey championship on Sunday, putting American qualification for the quarterfinals in doubt.